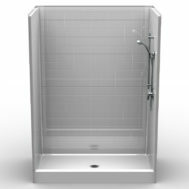 Best Bath Systems single and multi-piece residential showers and tub/showers are the perfect fit for home bathroom remodeling projects. 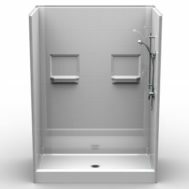 Complete your “Tub to Shower” conversion or replace you current shower with a Best Bath curbed shower built to last for 30 years. 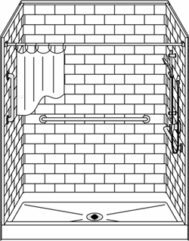 *Shower walls are reinforced with laminated wood, making it easy to install grab bars and a shower seat without additional structural backing or having to locate studs. Accessories can be installed during or anytime after installation. 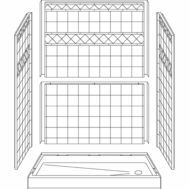 *Caulk-free SnapJoint assembly and pre-leveled shower pans significantly shorten installation time. Some jobs can be completed in just a few hours. *Easy to clean and maintain gelcoat walls have the authentic look of tile. 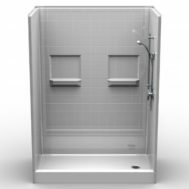 Custom color accents and tile inlays are available. *Our incredibly durable composite surrounds are designed to last for the life of the home. 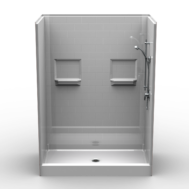 *All remodeler showers are backed by our industry-leading 30 year limited warranty. Don’t cover up potential mold, wood rot, and water damage behind your existing shower. Replace it with one of our Re-modeler products, built to be worry-free and likely to be the last shower you will ever need.